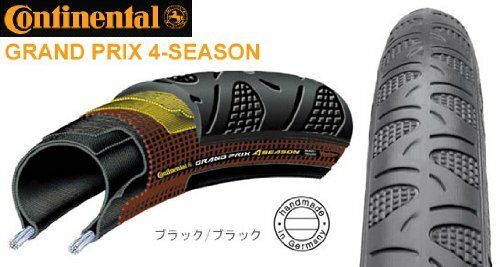 2 Pack - The weather won't always be perfect during your rides so be ready with the Continental Grand Prix 4 Season tire. Designed to achieve high mileage and optimal function in low temperatures, the Grand Prix 4 Season has a tread profile that gives you the best grip on the road no matter conditions. With Continental's Vectran Breaker and DuraSkin side wall reinforcement, you won't have to worry about anything on the road puncturing the Grand Prix 4 Season. This clincher tire comes in size 700x23c. Includes 1 Continental Grand Prix 4 Season 700x23c tire.